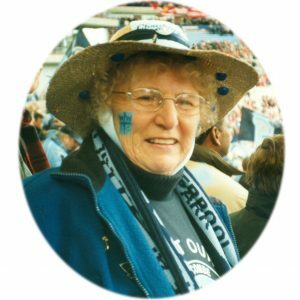 Ann Lewis – a lifelong Wanderers supporter – passed away suddenly on 15th September 2017, aged 82. 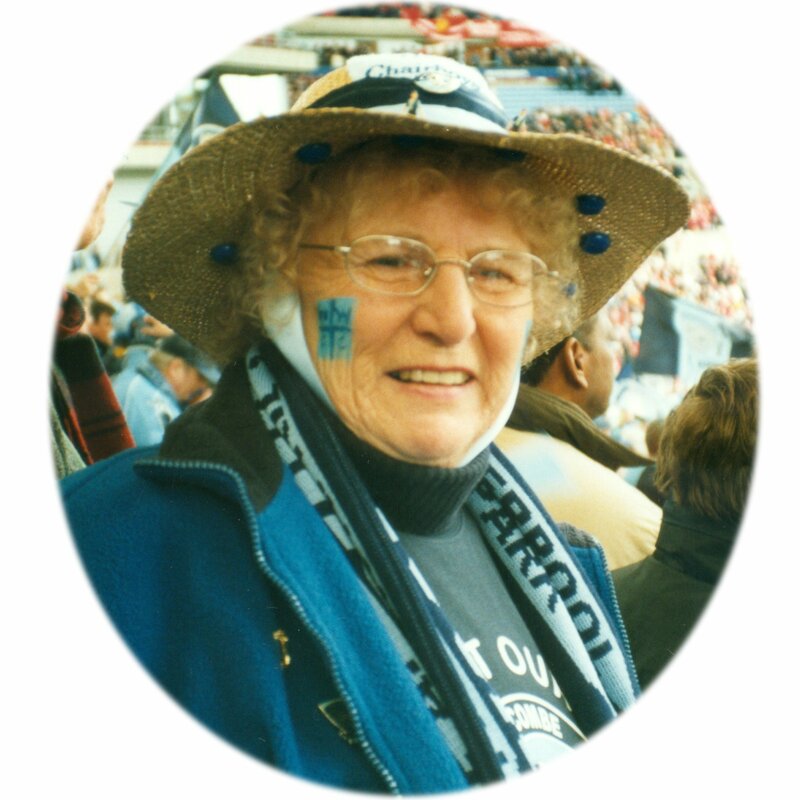 Ann was a long-time member of both the Official and Independent Supporters’ Clubs and her cheery character saw her make many friends during her travels home and away with the Wanderers. Ann comes from a family with a history of support for the Wanderers. Her father took her to her first Wanderers game in the early 1950’s and her loyalty for The Blues carried on throughout her entire life. She was lucky enough to enjoy the run to the Amateur Cup Final at Wembley in 1957 (along with her husband Brian) before passing down the family tradition of watching the Wanderers to son Paul in 1973. Ann, with Paul, continued to be regulars at Loakes Park and many away days, before sharing the wonderful experience of the Martin O’Neil years at Adams Park, including the memorable victories at Wembley in 1991, 1993 and 1994. Another highlight for Ann was the FA Cup run of 2001 where she travelled to Selhurst Park, Leicester and Villa Park on never to be forgotten occasions. The latter gave Ann the chance to show off her creative style with a self-decorated hat and makeup. Although Ann will be deeply missed by her family and friends, the family tradition of support for the Wanderers continue with Paul (a season ticket for the past 35 years) plus Paul’s partner Jane and their daughter Aimee (both now season ticket holders for more than ten years), all regulars in The Family Stand.